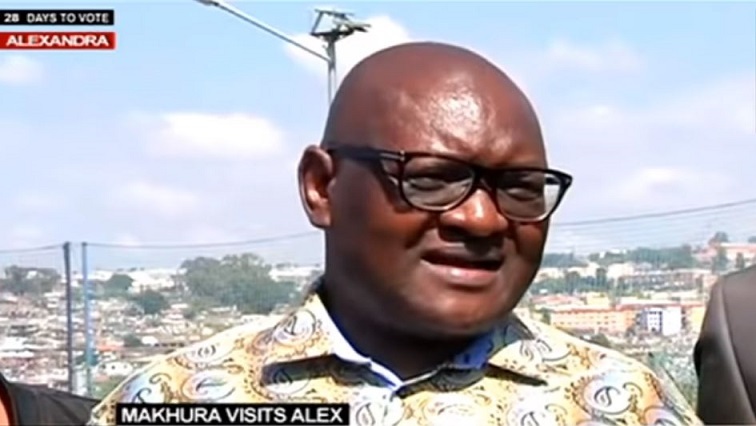 Gauteng Premier David Makhura has voiced concern over the mushrooming of illegal structures in Alexandra, north of Johannesburg, and has urged law enforcement agencies to deal with the issue. Residents embarked on sporadic protests last week over the mushrooming of illegal structures and service delivery failures. On Monday, they marched to the City of Johannesburg’s Sandton office to hand over their memorandum. Speaking in Alexandra, Makhura confirmed that President Cyril Ramaphosa will address the community’s concerns on Thursday. Makhura also outlined concerns over refuse removal and sewerage in the area. “This is a matter of great concern. The people of Alexandra are saying there are important and service delivery issues that must be sorted by the relevant authorities. The sewerage is flowing through Alex, there is no refuse removal. There used to be refuse removal on a daily basis in Alex. They are now saying up to more than seven days pass without refuse removal. But these service delivery issues are overshadowed by one thing – illegal structures are coming up everywhere. I want to say law enforcement agencies in their totality should deal with this issue,” says Makhura. The Alexandra shutdown committee says their fight for better service delivery will continue even after President Cyril Ramaphosa addresses them on Thursday. Gauteng Premier assured them earlier that the provincial government will do its best to ensure better service delivery and work on putting a stop to the mushrooming of illegal shacks in the area. The post President Ramaphosa will address Alex’s concerns on Thursday: Makhura appeared first on SABC News – Breaking news, special reports, world, business, sport coverage of all South African current events. Africa's news leader..